How could I refuse a culinary delight? I’d heard enough people express similar sentiments that when the chance came to buy a box at a great price (25 lbs for $15), I decided to give it a shot. 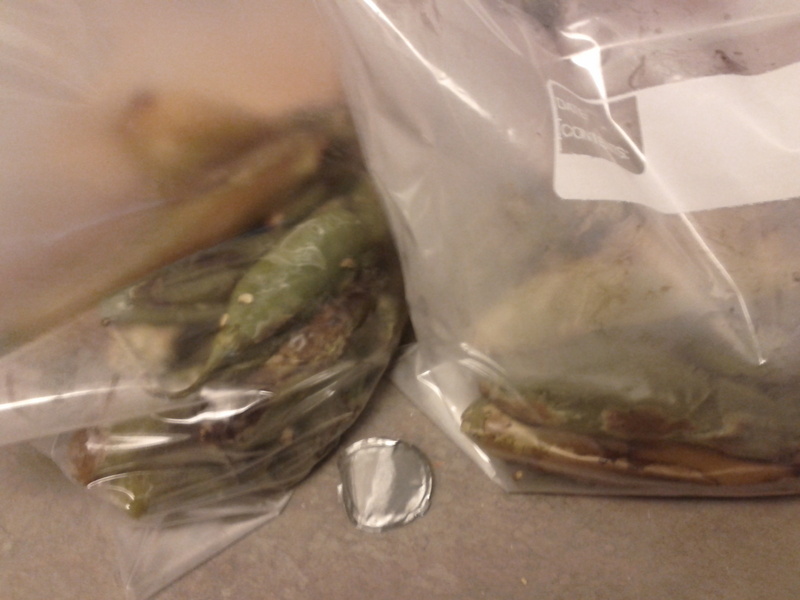 Then Saturday I got my peppers and all of the sudden I was confronted with 25 lbs of peppers. One thing to read it another to actually have it in your home! 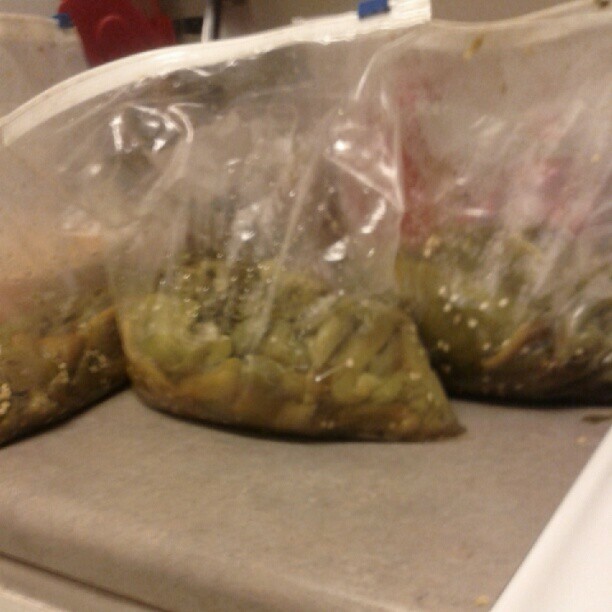 So, what to do with 25lbs of peppers. The only thing to do roast them and then either freeze or can them. Here’s how it went. I started with a big box of peppers! 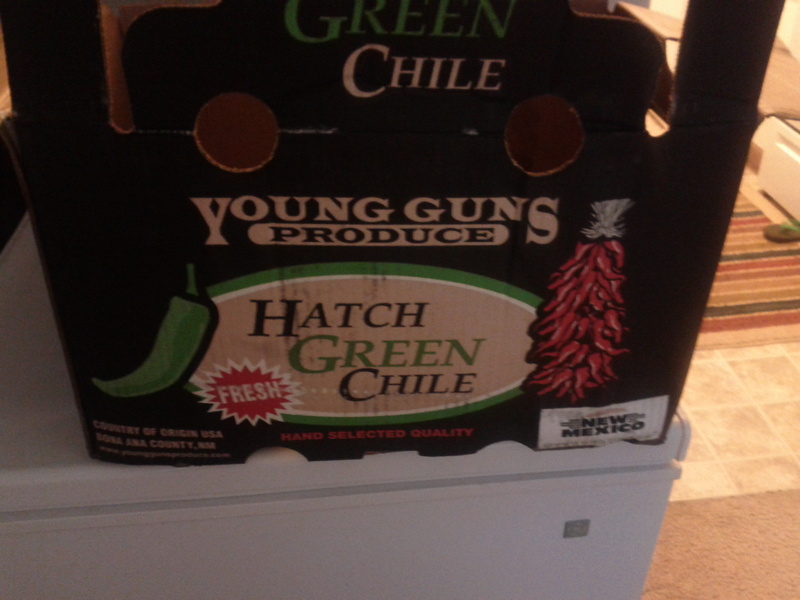 I should have taken a picture of all the peppers at the beginning but this was the box and it was full! 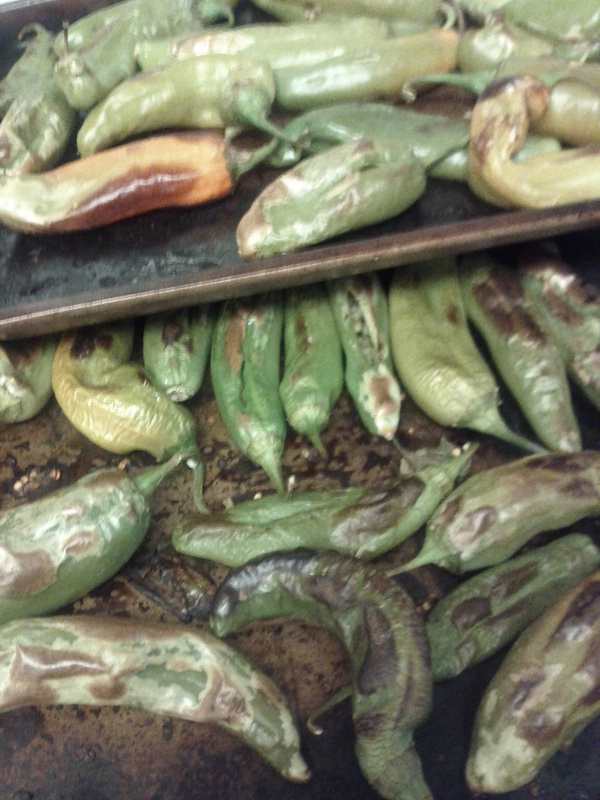 I look forward to enchiladas, chili rellanos, burgers with chiles, pork chili verde. If you have any recipes you like send them my way. Now my hands are burning from removing too many chili skins. I’m done. Enjoy your labor day!